On May 1, 1960, a Soviet antiaircraft missile shot down an American U-2 plane flying a reconnaissance mission over the territory of the USSR. The loss of the aircraft and the high-profile diplomatic scandal that followed, prompted President Eisenhower to ban any further overflights of the Soviet airspace, something he had reluctantly allowed previously. The US intelligence community, which had lost a major channel of information about the USSR, now looked at orbiting satellites as the next instrument for gathering intelligence data about the deployments of Soviet ICBMs and activities at the test sites. 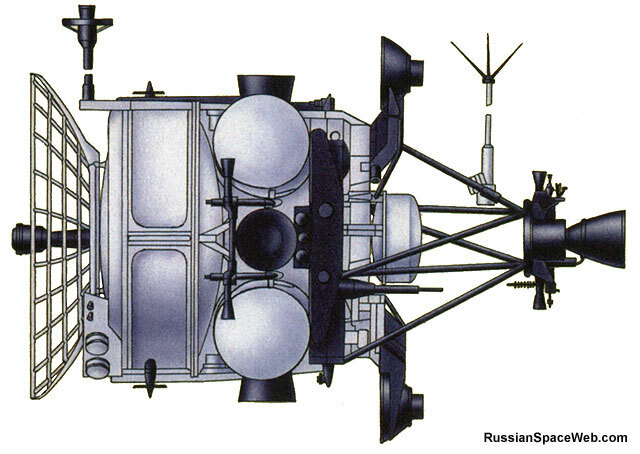 For its part, the Soviet government was determined to prevent orbital spy missions over the USSR. While diplomatic efforts by the USSR to extend the boundaries of the country's airspace beyond the atmosphere did not find much understanding among the international community, Nikita Khrushchev received proposals from the industry to study the possibilities of intercepting and destroying enemy satellites. Vladimir Chelomei, whose OKB-52 design bureau became a major spacecraft developer during the Khrushchev era, is credited as the pioneer of the anti-satellite systems in the country. At the time, the US also developed an anti-satellite systems, however all available information suggest that the Soviet anti-satellite effort aimed to deflect the threat from spy satellites, rather than to "symmetrically" respond to the ASAT development across the Atlantic. What is certain is that at the beginning of April 1960, Khrushchev held a meeting at his summer residence in Crimea, discussing an array of defense industry issues. Among those present was Vladimir Chelomei, who outlined his own program of rocket and spacecraft development, essentially competing with the projects carried out by Sergei Korolev and his design bureau. The result of the April 1960 "Crimean conference" was Khrushchev's go ahead to develop the UR-200 ballistic missile, which was proposed as a "versatile launcher" or "UR" in Russian. Chelomei advertised the vehicle as an integral part of a system capable of serving as an ICBM and as a space launcher and developed as a "package" with its payloads, among them the IS satellite destroyer. An official Russian source (72), published after the Cold War, stated that the decision to develop the anti-satellite complex, or PKO, was made in March 1961, "in response to the militarization of space by the USA." Although Chelomei's OKB-52 was responsible for the IS spacecraft and its UR-200 launcher, the overall development of the anti-satellite system was delegated to the team led by Anatoly Savin at KB-1, which was involved in the development of antimissile defense systems. (Savin's group eventually became a separate organization known today as TsNII Kometa) Savin and his deputy K. A. Vlasko-Vlasov developed a compact radar installation, which would determine the mutual positions of the target and the interceptor, and a command transmission system. 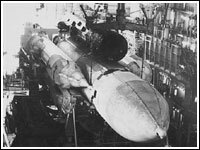 NPO Lavochkin in Fili, which during Khrushchev's reign was "swallowed" by the Chelomei's OKB-52, was responsible for the integration of the IS spacecraft. To manage the evolving systems of antimissile and anti-satellite defense, the Soviet Ministry of Defense created special units. On January 31 and March 30, 1967, the Chief of Staff (Genshtab) of the Armed Forces issued special directives, concerning the antimissile (PRO) and space defense (PKO) infrastructure. These documents formed a special Directorate of the Commander of the Antimissile and Space Defense Forces. Colonel General Y. V. Votintsev took command of the Directorate, which in 1967 consisted of 45 uniformed servicemen and 9 civilian employees of the Ministry of Defense. *On Oct. 1, 1992, the PRO and PKO Directorate was restructured into the Command of the Rocket and Space Defense (RKO). Colonel General Smirnov became officially the commander of the RKO forces. In 1997, the RKO forces, along with the Space Forces became the part of the Strategic Missile Forces (RVSN). Delays in the development of the UR-200 missile prompted Chelomei to request Korolev for his R-7 rockets for the launch of the early prototypes of the IS satellites. These launches, officially announced as "Polet" (Flight), were conducted on Nov. 1, 1963 and April 12, 1964. 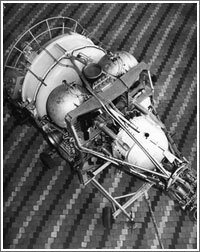 The Polet spacecraft consisted of a cylinder-shaped instrument container and a propulsion unit with the main engine surrounded by four spherical propellant tanks. The total mass of the spacecraft was 1,959 kilograms. (96) In its final configuration, the IS spacecraft would be equipped with radar and heat-seeking homing system. In 1964, shortly before he was ousted from power, Khrushchev made the decision to terminate the UR-200 project in favor of the R-36 ballistic missile, which was under development at OKB-586 design bureau (now KB Yuzhnoe in Dnepropetrovsk). As a result, the all-but-ready IS vehicles needed a new launcher. On August 24, 1965, a government resolution assigned OKB-586 to develop a launch-vehicle for the IS project. Naturally, the launcher would derive from the R-36 ICBM. The first launch of the R-36 in Baikonur took place on September 28, 1963. The flight tests of the rocket would continue until May 1966. Since 1964, OKB-586 had been developing the 11K69 (Tsyklon-2) launcher, which would be based on the "orbital" version of the R-36 ICBM, designated 8K69 (R-36-O). In the West, this type of missile was known as FOBS or Fractional Orbital Bombardment System. Unlike traditional ballistic missiles, the FOBS vehicle enters Earth orbit on its way to the target. However, the orbital R-36 was not expected to fly until at least 1967. Given the urgency of the IS project, OKB-586 proposed an "intermediate" version of the space launcher, which would be based on the "ballistic" 8K67 version of the R-36 missile, which was already in production at the time. Unlike the orbital version, the 8K67 missile was equipped with a larger inseparable instrumentation section on its second stage, which contained the avionics of the flight control system. According to KB Yuzhnoe sources (98), using the 8K67 missile as a space launcher saved almost two years in the flight tests of the IS anti-satellites and the naval reconnaissance spacecraft known as Universalniy Sputnik, or US-A/P. On April 28, 1968, the second ASAT-related payload entered orbit under name Kosmos-217, which was identified in the West as a version of the IS spacecraft, which would serve as a target. In total, until 1972, Western analysts identified 15 Soviet ASAT-related payloads, that reached orbit. In 1971, independent observers noticed that new target satellites were introduced into the antisatellite testing program. They were flying from Plesetsk, as opposed to Baikonur and launched by a lightweight C-1 booster, officially known today as Kosmos-3M. 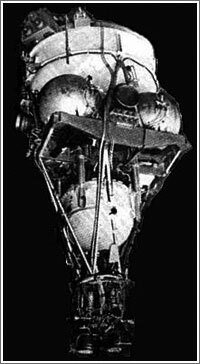 Years later, KB Yuzhnoe (formerly OKB-586) disclosed that it was responsible for the development of a specially equipped target satellite, designated DS-P1-M. On Feb. 9, 1971, a satellite of this type reached orbit for the first time. According to KB Yuzhnoe (98), the DS-P1-M spacecraft (development designation: 11F631) was based on a previous radar calibration payload and had a weight of 643 kilograms. It carried the so-called System of Shrapnel Detection (SFO) and a dual set of orbit parameter sensors designated Fakel-MSD and RDM-3M. The Tral-P2-82 telemetry system was designed to transmit data on the number of "hits" by shrapnel during intercept tests. The pressurized body of the satellite itself was covered by special protective armor and the spacecraft was expected to transmit data after as many as three attacks by the interceptors. 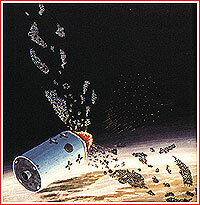 The SFO system was designed to count the number of hits by shrapnel ejected by the "killer" satellite moving at a relative speed of 1.2 - 2.1 kilometers per second. In total, during testing, 23 launches were conducted, including 7 interceptions. In 1971 the anti-satellite complex was accepted into experimental operation. With the signing of the US-Soviet antimissile defense treaty in 1972, the USSR stopped tests of the IS system until the end of 1975. Nevertheless, the original version of the IS system was declared operational in February 1973. (76) The ASAT tests resumed in the USSR in 1976. Official Russian sources explained this series of launches as a response to the development of the Space Shuttle in the US, which was perceived by the Soviet military as a carrier of space-based weapons. According to an official Russian source (72), during 1973-1978, the range of altitudes, where ASAT could "kill" its targets doubled. Also, the capability to destroy the target during the first orbit after launch of the ASAT was introduced. Following these upgrades, the IS complex was accepted into the armaments on Nov. 14, 1978, and after July 1, 1979, the system was considered in operational readiness. At the beginning of 1980, as the war in Afghanistan essentially ended "détente" (the thaw in the Cold War), the USSR again resumed tests of anti-satellite weapons. However, in 1983, Soviet leader Yuri Andropov, announced a unilateral moratorium on ASAT tests, to the dismay of the Soviet military establishment. The proponents of the ASAT program in the USSR argued that the IS system was an integral part of a larger infrastructure, including early warning and antimissile defense systems. Ironically, only a few days after this conversation, on May 15, 1987, the first heavy-lift Energia rocket blasted off from Baikonur, carrying the Skif DM (Polyus) spacecraft, which was later described as a prototype of a "battle station" in space. Among other things, the Polyus could reportedly carry anti-satellite weapons. Due to a software glitch, the 90-ton spacecraft has never made it into orbit. Despite the 1983 unilateral moratorium on orbital satellite intercepts, the USSR continued the development of follow-on anti-satellite systems. In April 1991, a modified version of the anti-satellite system, known as IS-MU, had been declared operational. It still used Tsyklon-2 rocket as a launch vehicle, but carried an upgraded anti-satellite, which was designated 14F10. The system was reportedly capable of intercepting its targets before the killer satellite would complete its first orbit around the planet, thus leaving a potential adversary less time for tracking the interceptor and implementing evasive maneuvers. The IS-MU system officially remained in operation until August 1993, however even after the formal decommissioning of the network, its ground segment was maintained in working condition, including the 224-B facility for command calculations and measurements and the launch complex at Site 90 in Baikonur, also known as facility 334-B. Russian officials also stressed that a sister system of naval surveillance employing similar facilities -- 224-Sh and 334-Sh -- had always remained operational. In March 2009, an official RIA Novosti news agency run a statement by Deputy Defense Minister for Armaments Vladimir Popovkin describing an array of measures to further develop national anti-satellite assets. In particular, the command post of the anti-space defense, PKO, and the center for tracking of outer space, KKP, underwent upgrades including the installation of Elbrus-90 calculation complex and a new information display complex. Russia also retained the operational status of OS-1 and OS-2 anti-satellite ground stations and the network of early-warning stations, which also had an anti-satellite role. New tracking radar stations -- 77Ya6 Voronezh -- were in process of deployment, giving additional capabilities to the network. In addition to the low-orbital intercept system, the USSR was looking at the possibility of destroying satellites in the geostationary orbit. The development of the 75P6 IS-MD system started in 1988. In 2009, Russian officials identified a well-known 54Zh6 Okno (window) ground tracking complex as a component of the IS-MD complex. According to RIA Novosti, the completed tracking station easily detected and tracked objects in the geostationary orbit. The same report also disclosed that a second facility was under construction on Russia's far-eastern coast. With its completion, a segment of the geostationary orbit, which is visible from Russia would be covered by the Okno sensors. Nov. 1: Polyot-1. Test of the IS prototype. The spacecraft conducted multiple orbit corrections, including change of inclination of its orbital plane toward the Equator. April 12: Polyot-2. Test of the IS prototype. Oct. 27: Kosmos-185 (IS interceptor). Initially entered a 546 by 370-kilometer orbit with a 64.1 degree inclination. Later maneuvered to a 888 by 522-kilometer orbit. April 24: Kosmos-217. The announced orbit of the satellite was 520 by 396 kilometers. However, Western sources said that the vehicle apparently failed to reach it, while scattered debris from the launch were found at a 262 by 144-kilometer orbit. A Russian-languages web site (97) claimed that the IS failed to separate from the upper stage of the launcher and as a result was unable to maneuver. Oct. 19: Kosmos-248. Assumed a 551 by 490-kilometer orbit. Described in Western sources (31) as an unusually large target satellite (4,536 kilograms) presumably equipped with sensors to monitor interceptor miss distance, shrapnel pattern and explosion effects. Served as target for Kosmos-249. Oct. 20: Kosmos-249. Entered an initial 254 by 136 kilometer orbit then maneuvered to a 2,177 by 514-kilometer orbit. This orbit matched the perigee of the "killer" with the apogee of the target. Just three-and-a-half hour, or two orbits after the launch, as the "killer" was descending from its apogee, it flew by Kosmos-248 and exploded, generating 80 or 109 detectable fragments. According to Western sources, the detonation of the killer satellite took place outside one-kilometer "kill radius" (31). 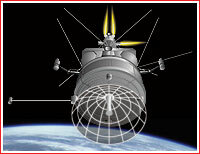 Russian sources (97), however, suggested that the Kosmos-249 only tested the homing system and had no goal of destroying the target, which became a "privilege" for the next IS spacecraft. Nov. 1: Kosmos-252. Entered an initial 250 by 140-kilometer orbit and then maneuvered to a 2,172 by 538-kilometer orbit and exploded the same day within "kill radius" from the Kosmos-248, generating up to 139 fragments. Aug. 6: Kosmos-291. First test launch of the 11K69 (Tsyklon-2) booster. According to some sources, the payload was a dummy IS spacecraft, according to others a failed target. Oct. 20: Kosmos-373. The target satellite was detected by US radar at a 1,102 by 510-kilometer orbit and then was seen maneuvering to a 553 by 490-kilometer orbit, which was reported by the Soviet sources. Oct. 23: Kosmos-374. Entered a 1,052 by 529-kilometer orbit then maneuvered to a 2,153 by 536-kilmometer orbit, where the IS spacecraft separated from the upper stage. During the "diving" attack toward the target (Kosmos-373), it passed outside one-kilometer "kill" radius, but nevertheless exploded. Oct. 30: Kosmos-375. Entered a 1,000 by 500-kilometer initial orbit and then maneuvered to a 2,164 by 538-kilometer orbit. During the "diving" attack toward the target, it passed within kill "radius" from the Kosmos-373 target satellite and exploded. Dec. 23: The first attempt to launch a DS-P-1M target satellite from Plesetsk ended with the explosion of the Kosmos-3M rocket at T+0.24 sec., resulting in damage to the launch complex. Feb. 9: Kosmos-394. A DS-P1-M target satellite reached orbit for the first time after launch by a Kosmos-3M rocket from Plesetsk. (98) The spacecraft entered a 574 by 619-kilometer orbit with an inclination of 65.9 degrees. Feb. 25: Kosmos-397. An IS interceptor entered an initial 613 by 144-kilometer orbit and then maneuvered to a 2,317 by 593-kilometer orbit. Exploded during its dive maneuver within "kill" radius from Kosmos-394. 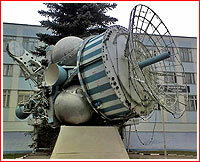 March 19: Kosmos-400. A DS-P-1M target spacecraft entered a 1,016 by 995-kilometer orbit. April 4: Kosmos-404. An IS interceptor entered an initial 632 by 148-kilometer orbit and then maneuvered to a 1,009 by 811 orbit, which was relatively similar to the orbit of its Kosmos-400 target. After a slow approach and a few-second-long flyby within some 8 kilometer from the Kosmos-400, the IS descended to a 799 by 169-kilometer orbit, from which it reentered the atmosphere over the Pacific. Nov. 29: Kosmos-459. A DS-P-1M target satellite entered a very low 277 by 226-kilometer orbit. Dec. 3: Kosmos-462. An IS interceptor entered a 1,561 by 143-kilometer orbit and then maneuvered to a 1,840 by 237-kilometer orbit before exploding. Sept. 29: Kosmos-521. A DS-P-1M target satellite entered a 973 by 1030-kilometer orbit, however, no attempt to intercept this target has ever been made. Feb. 12: Kosmos-803. A DS-P-1M target satellite entered a 554 by 624-kilometer orbit. Feb. 16: Kosmos-804. Entered an initial 701 by 148-kilometer orbit, but during the first orbit maneuvered to a 617 by 560-kilometer orbit and three hours later to a 628 by 528-kilometers orbit. The latest orbit brought into the vicinity of the Kosmos-803 target. After a flyby of the target, the Kosmos-804 maneuvered to a 928 by 228-kilometer orbit for controlled reentry over the Pacific. April 13: Kosmos-814. Entered an initial 479 by 116-kilometer orbit, which was low enough to "intercept" the target within one orbit after launch. After flying by Kosmos-803, the interceptor reentered. July 9: Kosmos-839. Entered the highest orbit (for a target) at 984 by 2,102-kilometer. Dec. 9: Kosmos-880. A DS-P1-M target satellite entered a 562 by 624-kilometer orbit. Dec. 17: Kosmos-886. An interceptor satellite entered an initial 571 by 132-kilometer orbit and then maneuvered to a 2,297 by 608-kilometer orbit and flew by the target three hours after launch. Later exploded in orbit. May 19: Kosmos-909. A DS-P1-M target satellite entered a 991 by 2,112-kilometer orbit. May 23: Kosmos-910. An interceptor entered a 506 by 149-kilometer orbit and reentered the atmosphere just after 70 minutes in space. June 17: Kosmos-918. 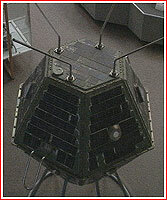 This interceptor satellite was detected by Western radar at a 197 by 124-kilometer orbit. It then maneuvered to a 2,103 by 994-kilometer orbit and reentered before completing a single rotation about the planet. Oct. 21: Kosmos-959. A DS-P1-M target satellite entered a 153 by 891-kilometer orbit. Oct. 28: Kosmos-961. An interceptor spacecraft entered an initial 302 by 125-kilometer orbit. It then maneuvered into a 1,421 by 269-kilometer flyby orbit, passing within kill radius from the Kosmos-959 target. Dec. 13: Kosmos-967. A DS-P1-M target satellite entered a 973 by 1,013-kilometer orbit. Dec. 21: Kosmos-970. An interceptor entered an initial 854 by 144-kilometer orbit and then maneuvered to a 1,139 by 940-kilometer orbit. It is believed to have failed to intercept its target before exploding into 30 detectable fragments. May 19: Kosmos-1009. An interceptor entered an initial 971 by 378-kilometer orbit, however, it apparently failed to intercept its target -- Kosmos-967. April 3: Kosmos-1171. An DS-P1-M target launched into a 1,117 by 976-kilometer orbit. April 18: Kosmos-1174. An interceptor satellite entered a 405 by 124 initial orbit. During the same orbit it maneuvered to a 1,025 by 362 intercept orbit, it however passed as far away as 60 kilometers from its target before making another attempt to intercept. It entered a 1,660 by 380-kilometer orbit, however, the killer satellite again missed the target by some 43 kilometers. A third attempt was made the next day, closing to within 20 kilometers of the target. The interceptor then exploded. Jan. 21: Kosmos-1241. A DS-P1-M target satellite entered a 1,009 by 973-kilometer orbit. Feb. 2: Kosmos-1243. An interceptor satellite entered a 1,013 by 294-kilometer orbit and then climbed to the intercept orbit, flying by within kill distance from the Kosmos-1241 two and a half orbits after launch. It then reentered the atmosphere. March 14: Kosmos-1258. An interceptor entered an initial 1,021 by 299-kilometer orbit and reached the target just after two and a half orbits after its launch. It exploded after passing its target. June 6: Kosmos-1375. A DS-P1-M target satellite entered a 1,021 by 990-kilometer orbit. June 18: Kosmos-1379. This interceptor's initial announced orbit was 1,027 by 552 kilometers, however 1 hour 16 minutes after launch the interceptor climbed to a 1,010 by 977-kilometer orbit. It passed the target within "kill" distance three hours after launch. An IS spacecraft preserved as a monument at the turn of the 21st century.